Is Postmodernism finished? The V&A Museum exhibition “Postmodernism: Style and Subversion 1970 – 1990” shed lights on some aspects of one of the most controversial cultural experience, at the V&A Museum, London, ongoing until 15th January 2012. The V&AMuseum exhibition is particular and for those born in the 1960s will bring back melancholic youth memories. Postmodernism, in fact, began as a fairly elitist movement, that later influenced many cultural fields, including religion, literary criticism, sociology, linguistics, architecture, history, anthropology, visual arts, and music. “Postmodernism: Style and Subversion 1970 – 1990” brings together over 250 objects across all genres of art and design, revisiting a time when style was not just a ‘look’ but became an attitude. “Postmodernism: Style and Subversion 1970 – 1990” is the first in-depth survey of art, design and architecture examining the movement. It shows how postmodernism evolved from a provocative architectural movement in the early 1970s and rapidly went on to influence all areas of popular culture. In the 1970s it had its birth, while during the 1980s became a mass phenomenon mainly through fashion and music. Therefore the V&A Museum exhibition will be much appreciated by those aged in their forties. Or maybe not, as it states that we – including who writes- got old enough to be exhibited in a museum. Flattering, but a bit depressing at the same time, isn’t it? However, defining Postmodernism is quite hard. It is a movement in contemporary culture characterised by the problem of objective truth and global narrative or meta-narrative. It is the art and design movement that follows Modernism but at the same time both of them went on in parallel for a while. Postmodernism believes that apparent realities are only social constructs, as they are subject to change inherent to time and place. It underlines the role of language, power relations, and motivations. Postmodernism challenges the severe categorising such as male versus female, straight versus gay, and white versus black. 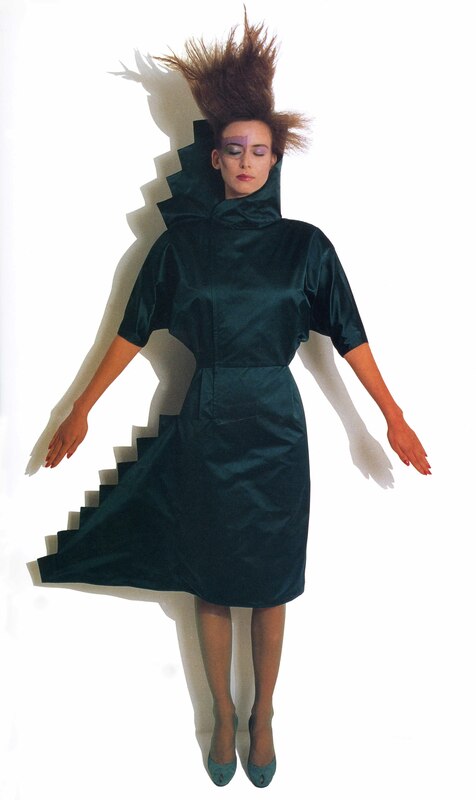 For postmodernists style was everything whilst modernists considered style to be a simple incident to their ideas. “Postmodernism: Style and Subversion 1970 – 1990” explores the radical ideas that challenged the orthodoxies of Modernism; overthrowing purity and simplicity in favour of exuberant colours, bold patterns, artificial looking surfaces, historical quotation, parody and wit, and above all, a newfound freedom in design. Key Postmodernism aspects are identified in the three large chronological sections of “Postmodernism: Style and Subversion 1970 – 1990”. The first gallery focuses on architecture considered the cradle discipline for postmodernism. The mixing of different cultural references created a new critical language, addressed to challenge the insufficiencies of Modernism together with the late capitalism. Architects, such as Aldo Rossi, Hans Hollein, Charles Moore and James Stirling, found a new way of combining elements of the past with the ones of the present. Charles Jencks was one of the founders and proclaimed its death. Designers, including Ron Arad, Vivienne Westwood and Rei Kawakubo, assembled cultural fragments applying the technique of ‘bricolage’ across many different disciplines. Italy was a key centre for critical practices where designers like Ettore Sottsass and Alessandro Mendini began to seek alternatives by challenging social norms, market imperatives and assumptions of taste. Italian critic Bruno Zevi indicated popular Las Vegas style as a new referent for Postmodernism and architect Robert Venturi, with his partner Denise Scott Brown, embraced this point of view. The 1980 Venice Architecture Biennale – titled ‘Strada Novissima’ – was a landmark of new ideas but it was much criticised by philosopher Jurgen Habermas. The second part of the V&A Museum exhibition is focused on the proliferation of postmodernism through design, art,music, fashion, performance, and club culture during the 1980s. In this section of the exhibition seems to be in a mid-‘80s club. It is, in fact, focused on the club culture of the 1980s that came after the discos on the 1970s. This section displays audio-visual installations and objects including fashion photography by Guy Bourdin and Helmut Newton, stage collections worn by Annie Lennox and Devo, turntables used by hip-hop pioneer Grandmaster Flash, and dance costumes related to the choreography of Karole Armitage, Kazuo Ohno, and Michael Clark. 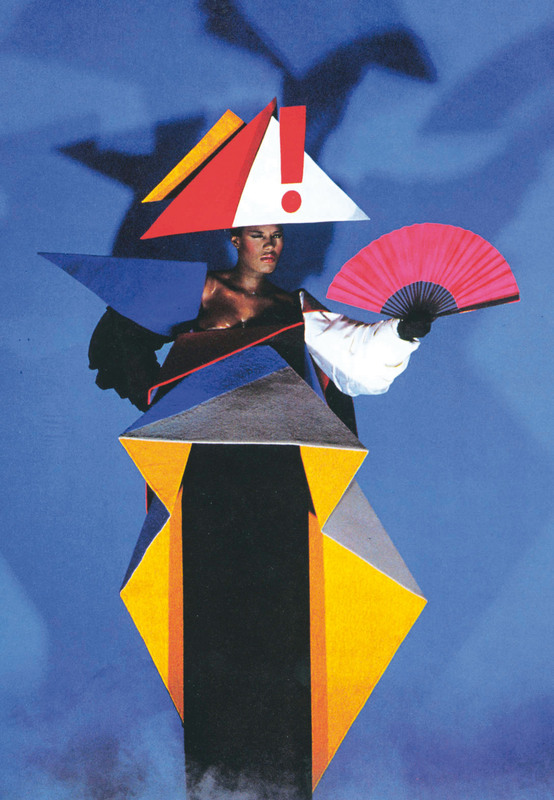 Performers such as Grace Jones, Leigh Bowery and Klaus Nomi played with genre and gender, creating hybrid, subversive stage personas. There is a niche dedicated to “Blade Runner” considered a cult movie for Postmodernism. Like the music, objects and architecture of the time, these celebrities were themselves constructed from ‘samples’. The first design group to embrace postmodernism was Studio Alchymia (1978) in Milan. While in 1981 the launch of the group Memphis in Milan again, under the leader Ettore Sottsass, was recognised as a disturbance in the designer world but immediately hailed as introducing a new international style. The artist and singer Laurie Anderson created her Postmodernism style inNew York. By the late 1980s, many had started to declare the death of Postmodernism. However, it is not sure if it is dead as nothing seems to come after it. The exhibition ends encouraging visitors to consider the relevance of the postmodern moment. The last work on display is “Bizarre love triangle”, a video by New Order, an English band famous for their delightful Postmodernism style, recently back on scenes. “Postmodernism: Style and Subversion 1970 – 1990” is convincing although there still much more to say about this movement. For example, investigating about the very popular dimension of the movement: who reminds Klaus Nomi though he has been one of the beginners? But ask about the more popular icons Duran Duran, Prince or even Human League. “Postmodernism: Style and Subversion 1970 – 1990” is curated by Glenn Adamson and Jane Pavitt. Sponsors are the Friends of the V&A and Barclays Wealth.